Those who crave fortune never truly get it, those who pay their respects to tradition and where they came from are more likely to succeed. 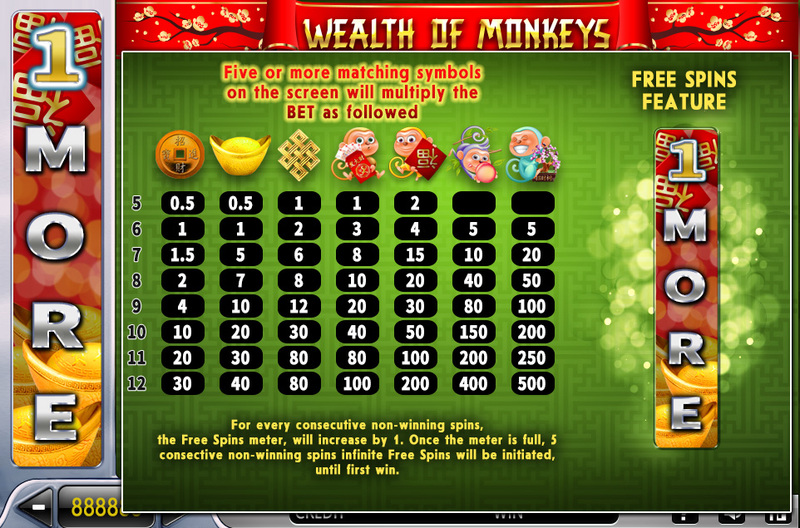 Monkey tokens are a symbol to wealth and fortune in your life – don't leave them behind in your race to the top. 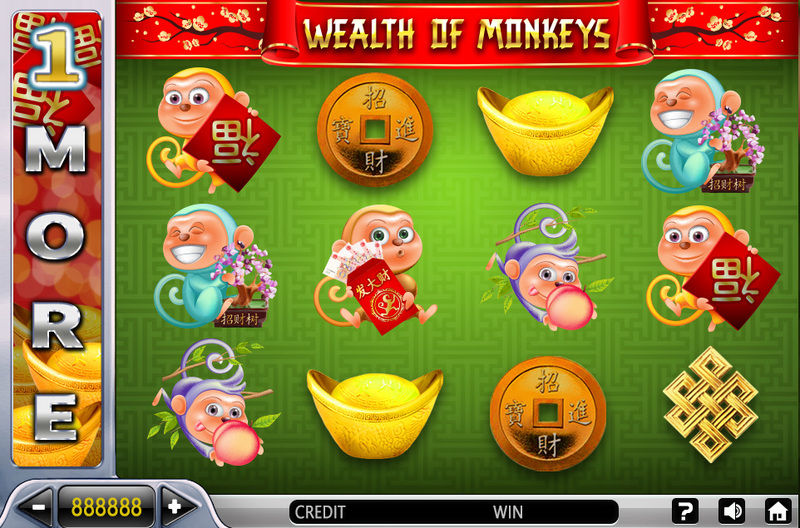 Wealth of Monkeys has some of the coolest and innovative features. We’ve removed all the lines and created a 12 combinations scatter wins. The rule is simple click to spin, every combination of 5 or more wins! Plus, if you were unlucky for 5 consecutive rounds you will get infinite free spins until you’ll win.